The secrets to a beautiful flower garden are knowing what flowers you are planting and when and where you are planting them. If you are new to planting, it is best to start small to guarantee success. When you select your plants (20 to 30 to start), choose mostly annuals (flowers that are planted every year) and a few perennials (plants that will keep coming back). Make sure you know how much sun you need and choose a site with good soil. You can purchase a soil testing kit. Don’t plant near trees, as they compete for water. Dig down into the ground at least eight inches and remove all rocks and debris. Level the ground with a rake and fertilize with compost or manure. These can be purchased at any gardening shop or greenhouse. Add peat moss or grass cuttings to increase water capacity and lime is the soil has too much acid. Using a rake, level the bed..
Plant seeds or plants according to directions, smaller plants in the front, and larger plants in the rear of the garden. Water the area thoroughly, and watch your garden grow. There are a great number of garden supply stores both online and in your neighborhood, as gardening is an age-old tradition that is not going away. These stores usually have everything you need. But mix and match your sources for plants, since you will probably want your garden to be unique. 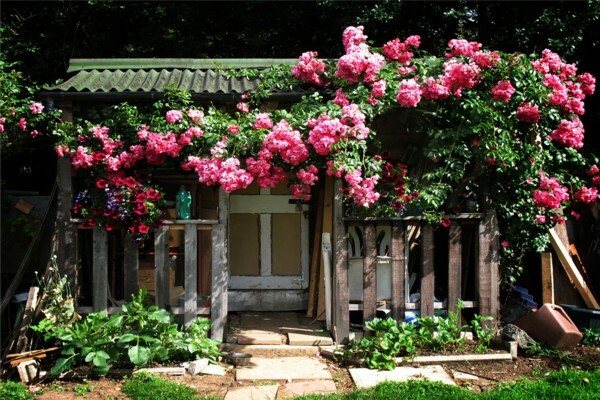 Make your garden a thing of your own imagination, and consider it an art form.